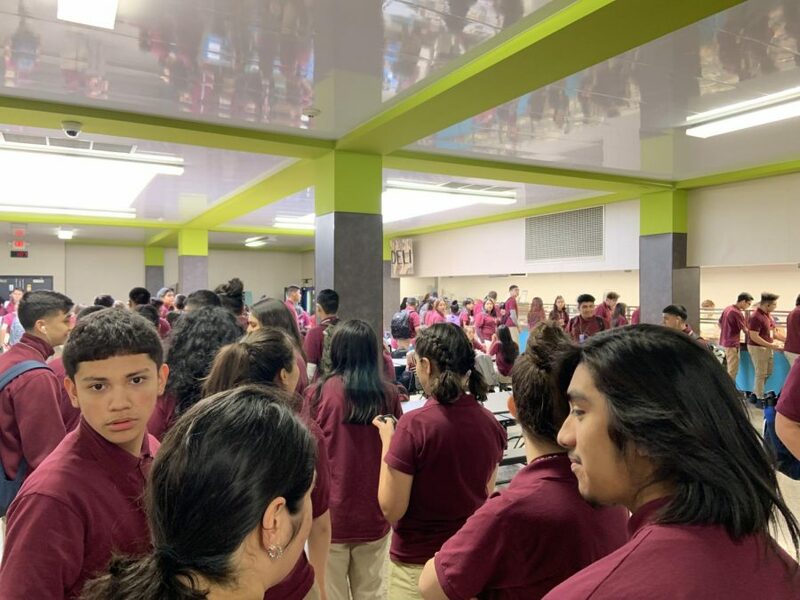 Gather Around… Morton East High School students patiently wait in line for their lunch during 3B Lunch. Before lunch students must go to supervision and have the time to talk or catch up on any work given. i liked that none of the pictures were planned and they just captured kids during their lunch. i think some of the descriptions could have been longer. During my lunch period i have 4 options i can pick from everyday but i normally only get the pizza and sometimes the grill depending on what it is. we have the security going table to table to make sure were in the right lunch which i find stupid i think OUR lunch period should be OUR time to choose if we want to be in the lunch room or auditorium either way we are jammed packed into the place. I have to agree with how the article views lunchtime because it truly is an important time where students don’t just eat but where they also can catch up on work and socialize. Socializing is an important part of people and having a whole hour to do it is important to our mental health. The lunch though could be better in my opinion but the fact that they offer a variety seems to make it much better.